DJ, Producer, Label Owner, Broadcaster and original Jungle Pioneer, Dazee brings her wealth of experience plus a big charge of energy to the dancefloor. Her style is a bouncy mix of jungle rollers and steppers with a peppering of jump up and classic vibes : the sound that is becoming synonymous with her label, Ruffneck Ting records. Dazee first took to the decks in 1992 and co- founded the original Ruffneck Ting club night with Markee Ledge (Kosheen) in 1993. She’s performed at the most celebrated events past and present (and featured in the tape packs!) including Universe, Dreamscape, Helter Skelter, World Dance, Fantazia, Slamming Vinyl, Innovation and Raveology. Her pioneering sound has taken her around the globe and she has featured on Radio 1, BBC 1Xtra, VH1 HTV and ITV. No stranger to broadcasting throughout her career, Dazee began in the mid 90’s with shows on Bristols pirates, Ragga and Passion FM, alongside her then partner in crime, MC Jakes (Hench). This was soon followed by a weekly dnb chart mix on Galaxy 101 and performances on BBC Radio 1’s One In The Jungle. In 1996 Dazee featured in “The Sounds Of The West” documentary alongside Roni Size and Krust and in 2001, HTV’s “The Session” that featured her dnb music project, Eden. In the mid 2000’s, Dazee’s involvement with all-female collective Dutty Girl, led to a performance and video for ITVs “Fixers” and mixing Genna G’s winning mixtape for 1xtra’s “Homegrown Challenge” . Dazee currently hosts the fortnightly “Ruffneck Ting Takeover” show on Bristol’s award winning radio station Ujima 98 FM and guests on London’s legendary Kool FM. 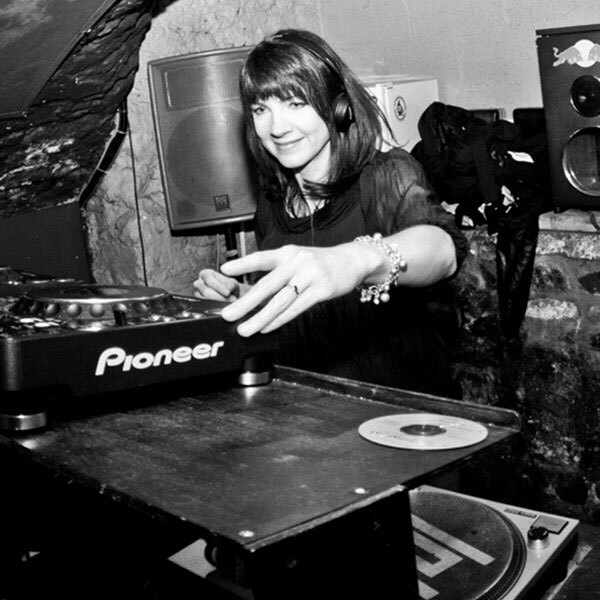 Dazee’s long time passion for her music is evident and she was nominated for best Female Jungle DJ In the We Love Jungle Awards 2015 and 2016. She currently enjoys residences for Bristol Sounds and Ruffneck Ting in Bristol and Birmingham. Bigger events such as Glastonbury, Love Saves The Day, Shambala, Run, Jungle Jam, West Fest, Alternate plus recent gigs in USA, Italy and Switzerland continue to take the Dj Dazee/Ruffneck Ting sound to a wider audience. Looking to the future Dazee aims to continue to build the label’s profile and events as a platform for Ruffneck Ting artists to grow in the scene. With a solid release schedule ahead for Ruffneck Ting plus some very special events celebrating her 25 years in the business of junglism, Dazee will be busier than ever repping the sound she loves in 2017!